6. 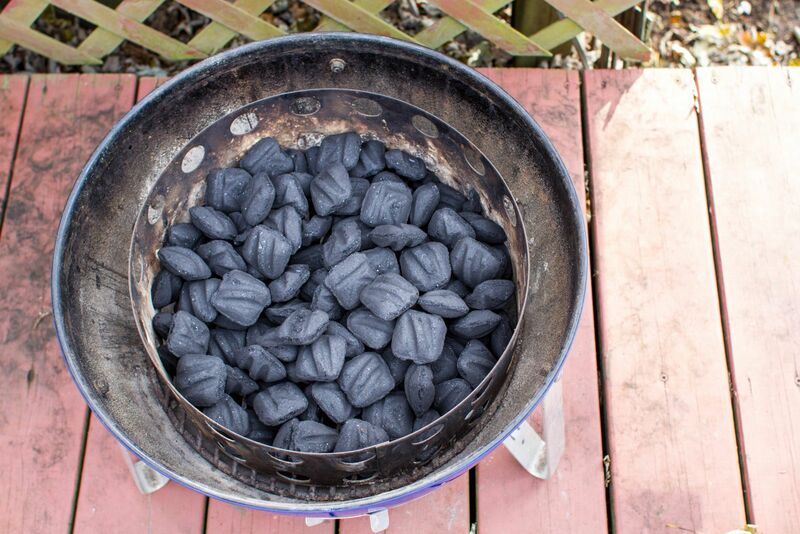 Disassemble the WSM and fill the fire ring halfway up with Weber Briquettes. You will roughly cover up the first layer of circles. 7. 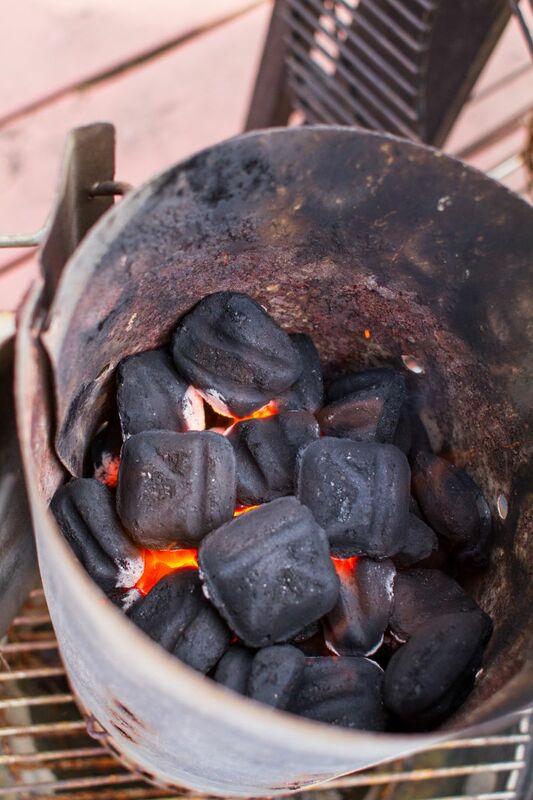 Fill a charcoal Chimney Starter half full with Weber Briquettes and light with Lighter Cubes. 11. 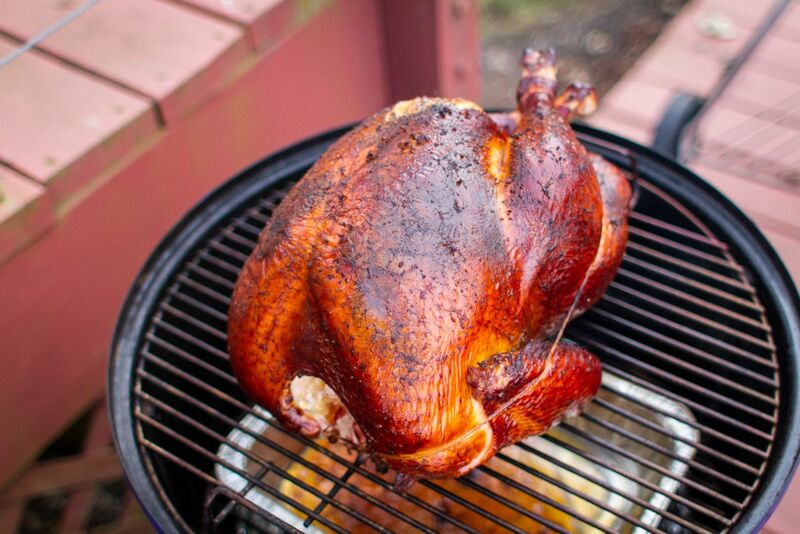 Grill the turkey over medium low heat, 300-350 F. As the smoker climbs towards 300 F, place the turkey on the top grate. 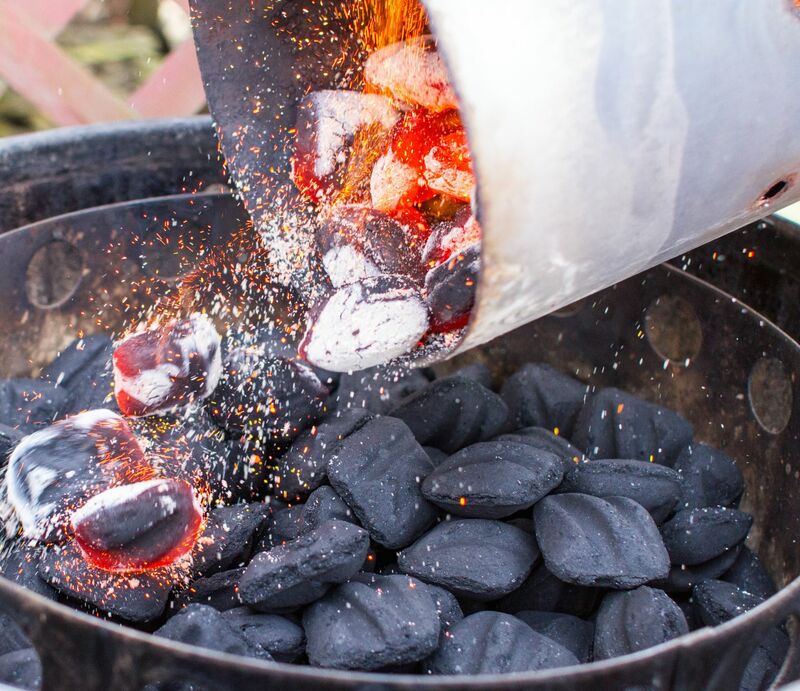 I would recommend using an iGrill 2 to monitor the internal temperature. Figure 15-18 minutes of cook time per pound. 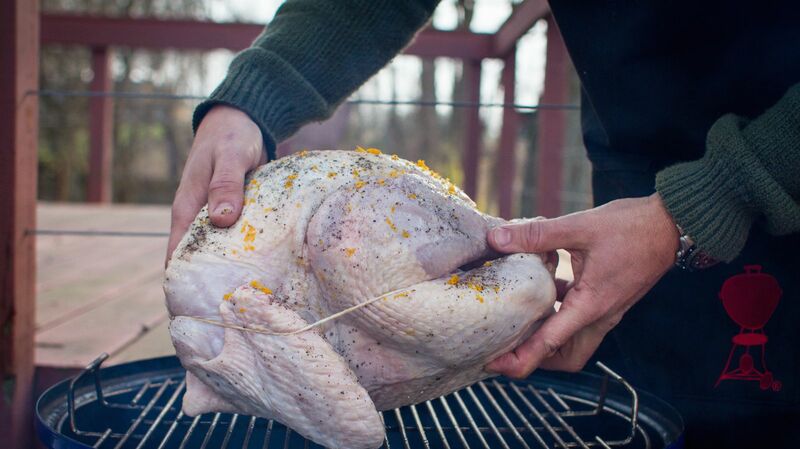 Cook until the deepest part of the thigh reads 165 F.
15. 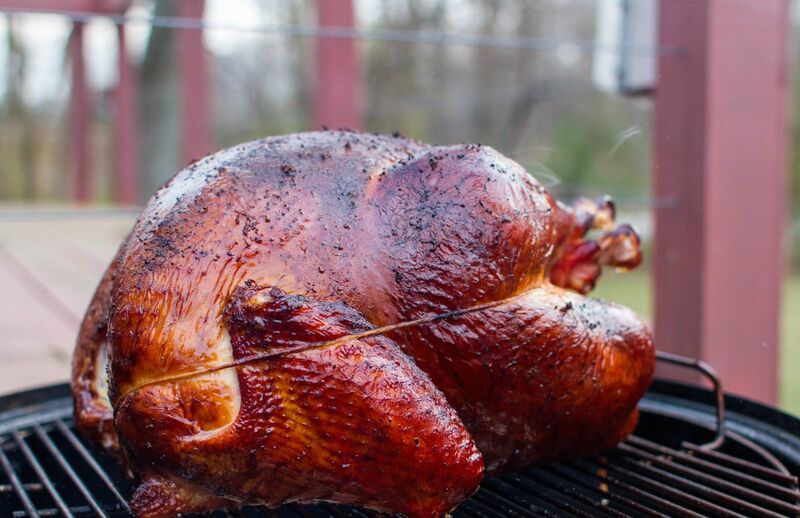 Before you carve into that beautiful bird, share your #BestTurkeyEver pictures with us!